Caring for baby teeth may not be top-of-mind for parents. This brochure directs their attention to caries prevention and the big-picture role of primary teeth. 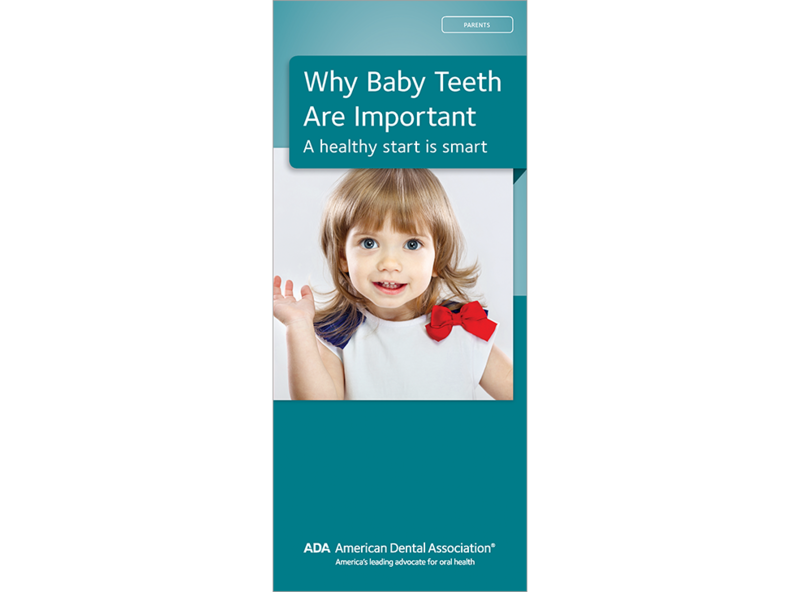 Provides tips for home care and includes tooth decay photos and a primary dentition chart. Advises parents against serving sugary liquids in the bottle. 8-panel brochure, pack of 50.